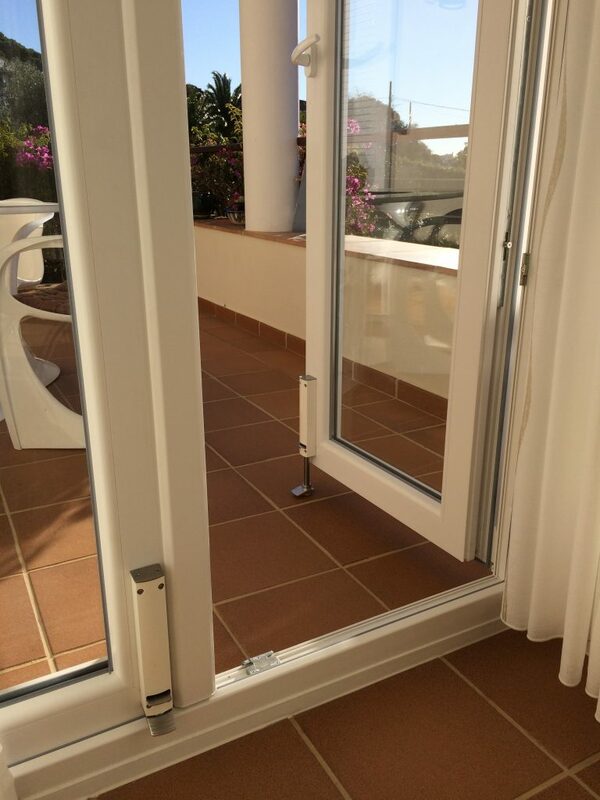 We have recently supplied a pair of Dictator ZE door holders to a customer in Spain who was determined to purchase the Dictator product in spite of being encouraged to purchase an alternative by a hardware distributor. 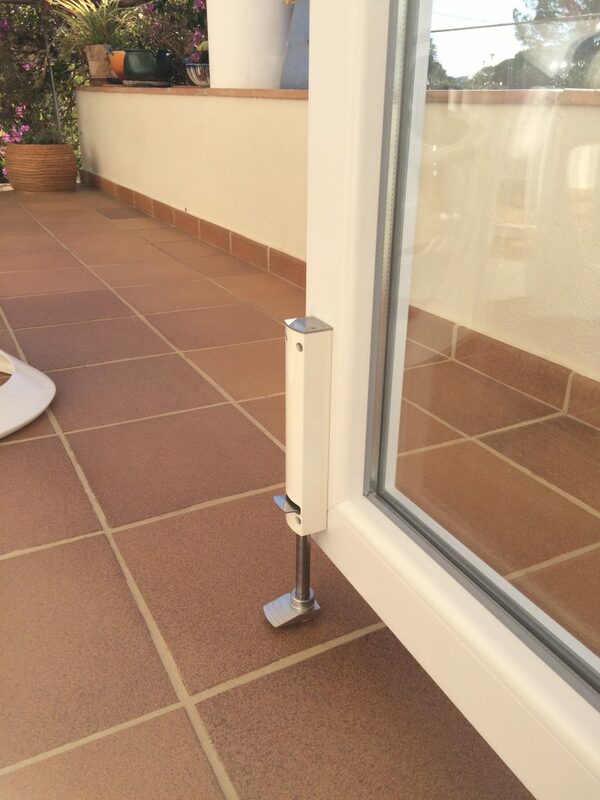 The customer was impressed by the neat and stylish design of the ZE door holder having viewed details on our website and felt they would complement the doors to their roof top terrace perfectly. Our customer found the units simple to install and has commented on how well they co-ordinate with their doors. The customer is delighted with the results and friends are being treated to a demonstration of the ZE door holders when they visit! The ZE door holders were supplied in a white finish to match the doors which enables them to blend harmoniously with the doors and gives a very sophisticated impression. ZE Door holders are available in a variety of travel lengths to accommodate different gaps between the door and ground level. Operation is quick and simple – a foot operated plunger holds the door securely at any required position and is just as easily released via a second foot operated trigger. No need to bend down and much more convenient and effective than using a door stop or wedge.